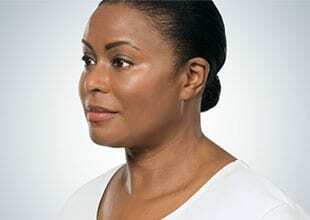 Kybella is the first injection of its kind that is used to dissolve“double chin” fat. 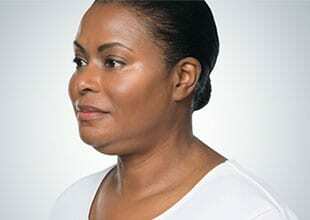 The main indication for Kybella is submental fullness or excess fat below the chin. This fullness is often a result of genetics, weight gain, or aging, but the common factor is that diet and exercise usually does not help reduction the fat in this area. Patients are often uncomfortable with this area of the body because submental fullness can make them look older. The treatment is done in the office in about 15-20 minutes. First, ice is applied then the Kybella is injected in small increments in the submental fat. Afterwards, some swelling or bruising may be visible for a few days, but then over the next month, some reduction in the fat should be seen. An average of 2-4 treatments is typically needed.